Support the sharing of stories and the cultural fabric of the City of Portland. 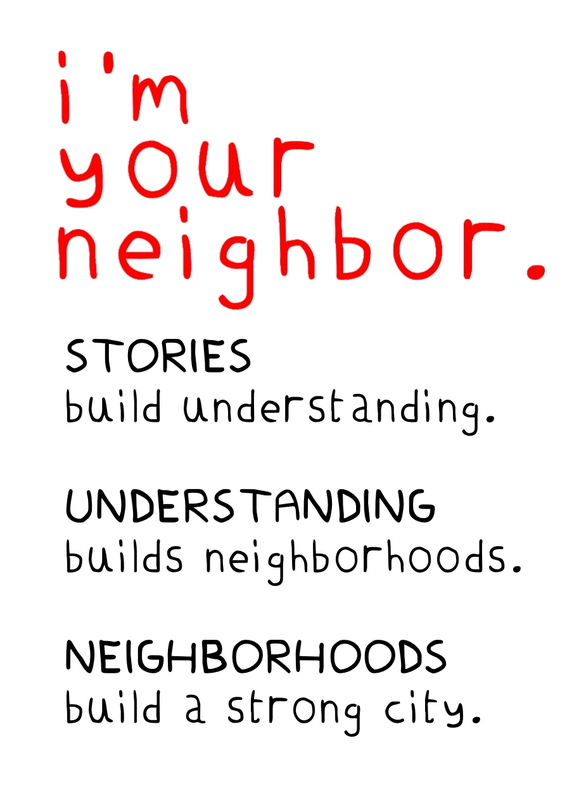 Contribute to the I’m Your Neighbor, Portland project by contacting Kirsten Cappy of Curious City at kirsten@curiouscity.net. Donations at the levels below allow the project to give Featured Books to members of the community at I’m Your Neighbor, Portland events. Benefit: Your name on each book’s bookplate. Your name and logo on each book’s bookplate. Your name and logo on the Sponsors page of the website. Your logo on one event poster and on-screen at one event. Your logo on two event posters and on-screen at two events. Signed collection of the books for your waiting room. Your name and logo on the Sponsors page of the website and on all Featured Book pages. Your logo on three event posters and on-screen at three events. Three signed collections of the books for your waiting room. Digital slide on all five screens of the Portland Public Library for five months.